I sure hope your right. I'm on reserve, but optimistic. The team will definitely be improved. You would not have known this before, but that avatar was suggested to me by my nephew, Chris, who is himself a "special needs" kid. When we lived in close proximity, I used to watch TV with him often. Special Ed was one of his favorite TV characters and we both laughed at his antics. I also took him to a few Vol home games after his father died at a young age. 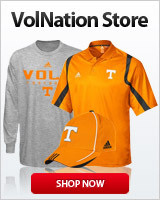 So, when I discovered the Volnation web site, not sure of what avatar I should use, Chris suggested Special Ed. Bingo! We both live in different states now, but the bond between Chris and me has always remained strong. He's a great kid, in spite of his "handicap" and I'm sure you'd like him too if you ever met him. I stated it shouldn’t matter. We knew what she was saying. Would anyone be interested in dragging the discussion back to what the recruit’s mom said? Geeze y’all, I was born a grammar Nazi, and I jump on everything like a duck on a June bug (this keeps me busy), but this is ridic. You have dragged a thread regarding a VERY INTERESTING and FREAKING IMPORTANT (sorry, maybe it’s just me) discussion of recruits’ parents’ reactions to major changes in their daughters’ futures into a whole lotta nothin’. Move on folks, move on!